I needed to change the channel on my Airport Express because the automatic setting had it on the same channel as my neighbours wireless. To change the channel open the Airport Utility which is in Applications > Utilities on OSX and if it doesn't find your network, scan. Then make sure your device is selected on the left hand pane. 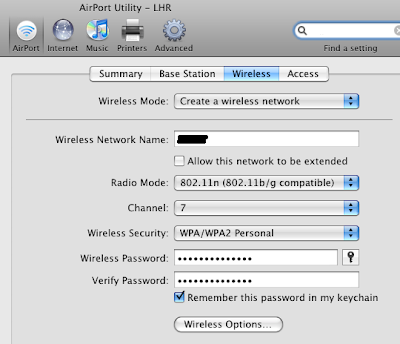 Click Airport, and then wireless, and in the drop down list select a different channel. Try to use one that is 3 or 4 away from any other wireless. Click update and allow the device to restart. You can use APGrapher to scan for all the local wireless networks and checks which channel they use. OSX Server - "the items path may have changed"